Click here for updated version of this post. Our next Simple Machines session was on Pulleys. Key concept: A pulley is a wheel that you loop a rope over. 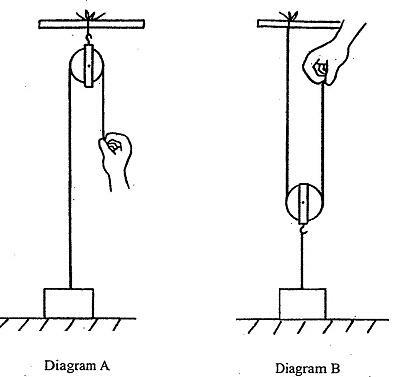 The key point of pulleys is that they redirect force. For example, instead of PUSHING a load UP, you can attach it to a rope and pulley and PULL DOWN. 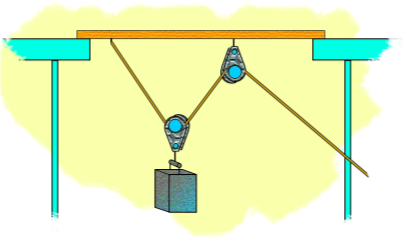 Some pulley systems make work easier, by allowing a worker to use less force to move the object. Tie a rope on something heavy (e.g. a basket of books, a sack of flour, or a 2-liter bottle of soda). Have a child lift the object off the ground by pulling up on the rope. They may only be able to lift it six inches or so off the ground – partially because it’s heavy, partially because their little arms can only reach so high. Then have them pick up the object and try to lift it high up above their head. It’s higher now, but wow it feels heavy to push it up. Then, put the rope up over the back of a chair or over a doorknob and have them pull down on it. It feels easier* to pull on the rope to lift the object than it did to push the object up with their hands. But they can only lift is as high as the pulley. Then throw a rope over the side of a slide platform (or around a railing on an open staircase: http://handsonaswegrow.com/simple-machines-for-kids-the-pulley/) and put a kid up there to reel it in. Look how high you can lift something when you use this tool! Notice that none of those examples use an actual “pulley” from a store. You’re getting pulley action just by wrapping a rope around an object and pulling. A spool that cord or ribbon was once wound around. The clothesline. We put one pulley** on a slide platform and the other on a step ladder. (At home, it was tied from the stair railing to a chair.) 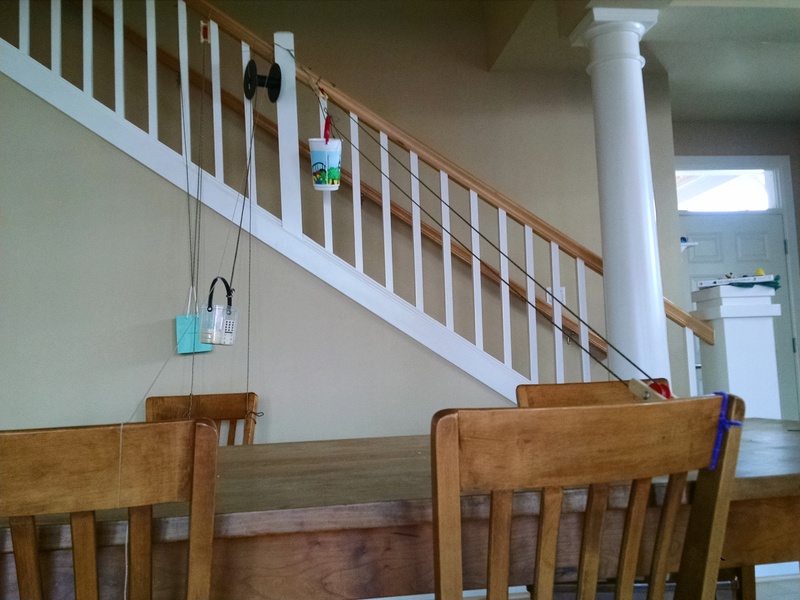 We took a rope and tied it to a basket from a dollar store, looped it around both pulleys, and tied the other end to the basket, so you have a continuous loop with a basket mounted on it. (See diagram above to get an approximate sense of how this works.) You can pull on the top or bottom cord to bring it from one end to the other, then reverse. This was easy for even our two-year-olds to operate, and fun to load up the basket and send it back and forth. A fixed pulley. We fastened a pulley up high. We tied a rope on a basket, then ran the rope up and around the pulley back to the ground. A child standing on the ground could then pull on the loose end of the rope (shown in red above) to bring the basket from the floor up to their buddy up high. Moveable pulley. We didn’t have this set up on its own, but it basically involves fastening the basket to a pulley. Tie a rope up high, run in through the pulley on the basket, and then bring the end of the rope up high. 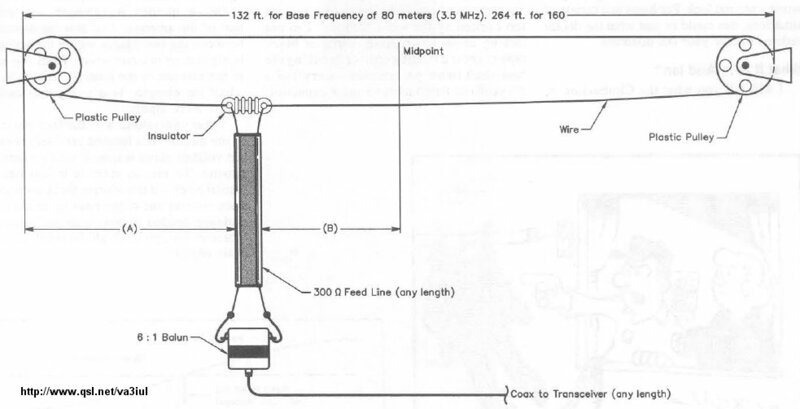 Diagram A above shows a fixed pulley. 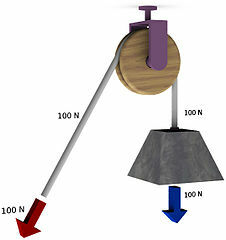 Diagram B shows a moveable pulley. Compound pulley. We set up something like this, although instead of using a pulley on the basket, we just looped the rope through the handle of the basket so it could run through it like it would run through a pulley. So, we tied the rope high, ran in through the basket handle, then through a pulley up high, then you pull down on the rope. A basket on a track. We mounted a pulley on the high side (slide platform or stair railing). We threaded a cord through the handles of a basket so the basket could slide back and forth on the cord. Then we tied one end of the cord up near the pulley, and the other down lower (bottom rung of step ladder, or a chair), making a track for the basket to run on. THEN, we tied a rope to the handle of the basket, and ran it up through the pulley then down to the ground. When a child standing below the pulley pulls down on the rope, the basket pulls up the track. When the child lets go, it runs back down the track on its own. Here are pictures from class, and pictures of the pulleys I set up at home. I apologize for their quality. It’s hard to get a good picture of pulleys and ropes! Understanding force: In step #4 of our initial demonstration, we said if feels easier* to pull down on it. This is just a body mechanics sensation not a measurement of actual total “work” needed. That step was basically setting up a fixed pulley system, and with a fixed pulley, you need to use the same amount of force, the pulley just redirects your force. The moveable pulley reduces the amount of force needed to lift the basket. The compound pulley reduces it even more. This Explain that Stuff article does a nice job of explaining the basics of force and pulleys at an adult level. You could also set up a series of block and tackles that make it even easier to lift a heavy load. The Wikipedia article on pulleys has good descriptions of block and tackles. Math activity: Put weights into each of the baskets. Dominoes? Glass pebbles? Books? Depends on how strong your baskets, your rope, and your child. Count how many of that object you can lift with each type of pulley. Which helps you do the most work? Art projects: Flagpoles use pulley systems to raise the flag. You could have the children make flags (with paper or cloth) and then raise them up a flagpole. You could also decorate baskets to carry on a pulley system. For a great collection of pulley activities for kids, including recommended books, click here: http://iijuan12.hubpages.com/hub/gears-and-pulleys-simple-machines-lesson-plan. ** We used these pulleys from Magic Cabin toys. They were good for our purposes, although we ended up using utility cord from the hardware store for most of our pulleys rather than the string from the kit, mostly because it was gentler on the hands. The kit came with a book on activities to teach kids about pulleys, so that was nice. But you could do these activities just as well with any pulley, and probably cheaper, since it was $30 for four pulleys with this kit.